Insecticide Termites treatment TECHNOCID against wood termites plaguing our habitats including wood framing or any other woodwork. 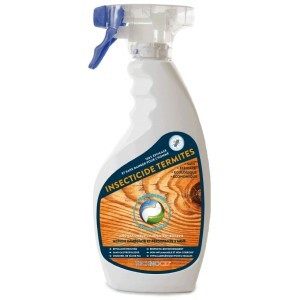 Insecticide Termites treatment TECHNOCID against wood termites plaguing our habitats including wood framing or any other woodwork. A distance or preventive, it also generates a strongly repulsive extended against these pests. TECHNOCID solution be used indoors or outdoors on all wood surfaces without odors, no stains. Applies to all species of wood and other media.